As 2017 comes to a close, I'm looking back at all the beautiful film‐inspired travel destinations I was able to discover this year. Maybe you will find one or more destinations among these that will make it onto your travel bucket list for 2018? If so, I would be happy to hear about your plans in the comments section below… Happy New Year and have fun discovering the world through movies in 2018! In February 2017, I got really lucky and won the first prize at a travel trade fair prize draw: A flight voucher from Icelandair worth 800 Euros! I quickly decided to use this voucher for a trip to West Canada (to trace the filming locations of The Revenant) and the USA. And since I had to change planes in Iceland anyway, I decided to build in two stopovers to see some of the stunning and unique nature that Iceland is so famous for! My first stopover in Iceland was at the end of April 2017, the second one at the beginning of June 2017. Iceland is an expensive travel destination, but for a short stopover (I stayed for about 3 days each time), it was totally possible to see the highlights of Iceland! Read more about my experiences and travel tips for Iceland by checking out my Iceland posts. Iceland has served as a filming location for many famous films and series (from Game of Thrones to Thor: The Dark World). But it was the adventure drama The Secret Life of Walter Mitty (2013) that inspired me the most to visit this unique Nordic island. 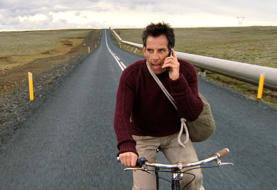 Read more about the filming locations of The Secret Life of Walter Mitty in my Film Review. 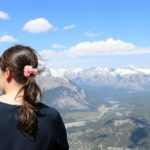 While in the USA and Canada, I discovered food tours as a new, fun way to see and learn more about a city. In Cincinnati, I took part in the The Sweet Stroll Tour, which included both sweet treats and the history background of Cincinnati’s currently most up‐and‐coming neighbourhood “Over‐the‐Rhine”. In recent years, both the "Over‐the‐Rhine" quarter and Cincinnati in general have become pretty popular filming locations. For example in George Clooney's The Ides of March (2011), Carol (2015), and most recently The Killing of a Sacred Deer (2017). For more info on “Over‐the‐Rhine” and my sweet food tour read my review about the Sweet Stroll Food Tour. Got a taste for the USA? Here are all of my USA posts. 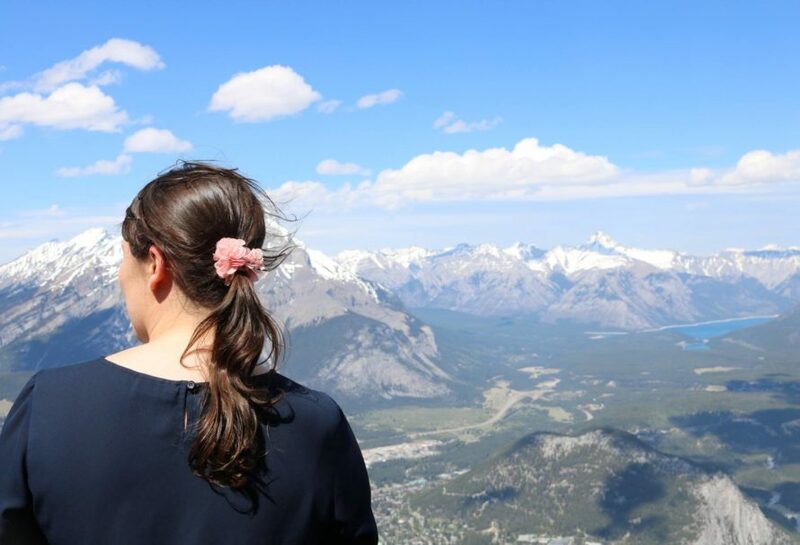 In May, I also visited Canada for the first time. My main mission here was to trace the film locations of The Revenant. The trapper drama that received several Oscars, was largely shot in the beautiful natural scenery of Alberta and British Columbia. 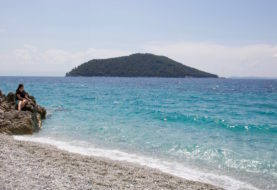 May was the best time to visit as it was not yet high season (meaning fewer crowds of visitors), but warm and bright enough to discover the stunning natural highlights. The West Canadian landscape has served as a backdrop in several well‐known movies. Among them are classic ones such as Doctor Zhivago (1965 – where Canada stood in for Siberia as filming in Russia was not possible at that time due to the Cold War) and more modern films such as Brokeback Mountain (2005). Read more about the filming locations of The Revenant in my Film Review. Inspired by the settings of the beautiful art film Girl with a Pearl Earring (2003), I headed to the picturesque Dutch town of Delft in September 2017. For more info about what you can discover in Delft and surroundings, check out my Netherlands posts. Even though Girl with a Pearl Earring (2003) has mostly been shot elsewhere (namely Belgium, Luxembourg and Amsterdam), the city of Delft is the main and real‐life setting of the story. It was also the real‐life home of the Delft painter Johannes Vermeer (portrayed in the film by Colin Firth). Read more about how you can trace the film’s settings and the footsteps of Johannes Vermeer in my post 7 Fun Ways to Trace the Settings of “Girl with a Pearl Earring” in Delft, the Netherlands. In October, I embarked on my first ever visit to Austria. This of course involved visiting Austria's famous capital city Vienna. After all, this was where Woman in Gold (2015) had largely been filmed. Read more about what to do in Vienna in my two Vienna posts. Watching Woman in Gold, I was really impressed with the Jugendstil architecture you could see at every corner in Vienna. And I wasn't disappointed when I went there myself. There were so many things to see, I actually had to do a real power sightseeing marathon over the three days I was there. The Vienna Pass proofed to be very handy for my mission. For more info about the filming locations of Woman in Gold, check out my Film Review. To trace the settings of other films that were shot on location in Vienna, check out my post Vienna Film Locations Walk. My last trip in 2017 was my first ever trip to Russia! In November 2017, I went on a guided tour to the city of St Petersburg – Russia's "gateway to the West". As I went on a guided tour by ferry, I didn't have to worry about getting a visa, which you normally need in order to travel to St Petersburg as Russia is not part of the European Union. The ferry journey from Stockholm was quite long and included four nights sleeping on the ferry. However, the great thing about this "slow travel" was that we made several‐hour long stopovers in two other great cities on the Baltic Sea: Helsinki, the capital of Finland, and Tallinn, the capital of Estonia. St Petersburg has served as an imperial filming backdrop in films like Russian Ark (2002), Anna Karenina (2012), James Bond: GoldenEye (1995), the British TV mini series War & Peace (2016) and the up‐coming feature film Siberia (2018). Read more about visiting St Petersburg in my two St Petersburg posts. Over to you: Which film fan destination is on your bucket list for 2018? Let me know in the comments below! I really appreciate this post! I’ve not been to Russia yet but would love to one day.